Stock # JG396715, 6.7L I6 Cummins Turbo Diesel Engine, Automatic, 5 mi. Contact Cowboy Chrysler Dodge Jeep Ram today for information on dozens of vehicles like this 2018 Ram 2500 Tradesman. Taking the road less traveled has never been more fun than with this 4WD. With improved performance, mileage and acceleration, this 2018 4WD Ram 2500 Tradesman is king of the off-road. The look is unmistakably Ram, the smooth contours and cutting-edge technology of this Ram 2500 Tradesman will definitely turn heads. 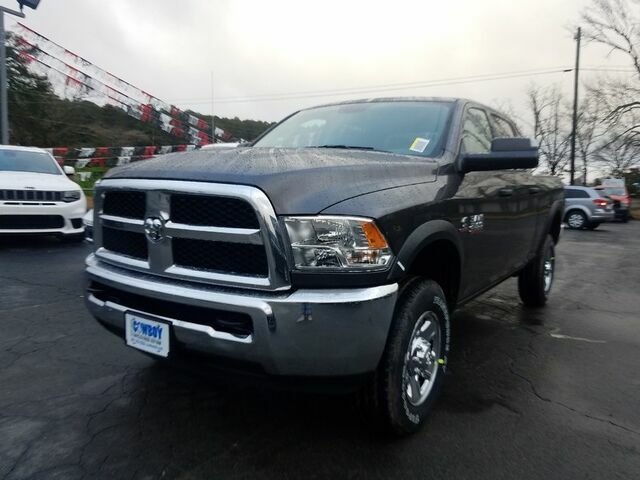 There is no reason why you shouldn't buy this Ram 2500 Tradesman. It is incomparable for the price and quality. You can finally stop searching... You've found the one you've been looking for.